SAMARA, Russia. At the Samara Arena, Neymar led the Canarinhas to a 2-0 victory over El Tri in a Round of 16 game that remained constantly open and fluid. Neymar (51′) and Roberto Firmino (88′) obtained the goals for the winners as they looked to fulfill their obligations. 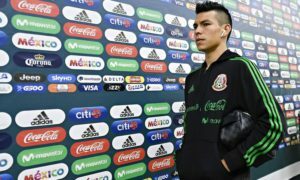 Forced a change in the lineup due to Hector Moreno’s mandatory suspension, Juan Carlos Osorio introduced Rafael Marquez in his lineup for the first time in this tournament. The change seemed to help El Tri open the match against the Canarinhas, pressuring them and generating a wave of chances early on in the match. Two minutes in, the pressure led to El Tri‘s first chance on frame, which was fired wide of Alisson Becker’s goal. Andres Guardado soon followed up with a chance of his own, after some help from ‘Chucky’, who was one of El Tri‘s major protagonists on the day. One of Osorio’s in-game rotaciones, guiding Lozano and Carlos Vela to switch wings, had worked to hurt Brazil’s full-backs, including Felipe Luis, who started ahead of Marcelo this match, early and often. The constant wave of El Tri pressure and high-speed triangulation had yielded some technical masterclass passing to generate further chances for El Tri as the half went on, including shots by Carlos Vela and Hector Herrera that curled too far beyond Alisson’s far post. But they eventually opened up opportunities for the Canarinhas to attack. And Guillermo Ochoa and Hugo Ayala were forced to intervene to stop Brazil chances early, as Neymar and Willian both utilized their malendragem to break the El Tri defense down Edson Alvarez’s wing several minutes from the end of the half. But five minutes after the second half began, when Miguel Layun entered for Rafael Marquez, Willian, Casemiro, Neymar, and company converted the Brazil pressure that had begun at the end of the last half into its first goal. In the game’s 50th minute, off an overlap by Coutinho and dribble and cross by Willian, Neymar opened the scoring from inside the six yard area. And as the second half wore on, Brazil started to pile on the pressure and take on tactical and mental control of the match, forcing El Tri into hard fouls and to start to get frustrated with the refereeing crew. Fagner also was able to force Guillermo Ochoa to keep Mexico’s deficit at 1-0 13 minutes into the game’s second half. Hector Herrera was also booked for a hard foul on Neymar that forced the Canarinhas‘ medical staff to apply a treatment to his right leg. El Tri continued to pressure the Canarinhas, even it had only been on the counter, and find chances on Alisson’s goal. 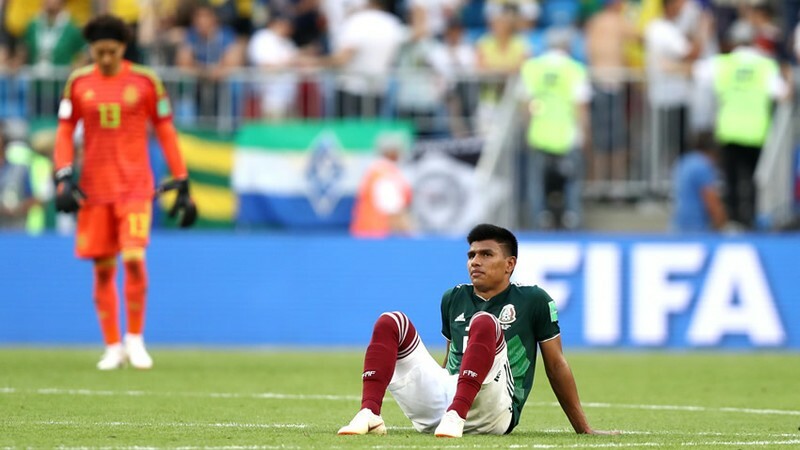 A low cross from Lozano to Raul Jimenez provided another fruitful chance that a moment of indecision or lack of timing allowed El Tri to squader. By the later stages of the second half, Brazil provided more defensive support for its full-backs to defend in wide areas, taking away El Tri‘s primary points of entry into their penalty area. Two minutes from the end of the 90, the strategy opened up a break in concentration that gave Brazil its second goal, as Neymar caught the right side of El Tri‘s defense in a busted off-sides trap with a ball over the top that found Roberto Firmino. Firmino finished off the long-ball inside the area to cement the Canarinhas‘ passage to the quarterfinal. 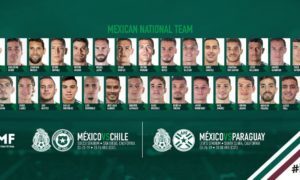 While El Tri was denied a passage to a quinto partido (and the quarterfinal) for the seventh straight World Cup, the selection had gone out with valor and let down by both technical weaknesses, and the mental and tactical superiority of the Canarinhas‘ collective by weaknesses they had going into the match. The match could earn some El Tri players a chance to play in Brazil where they could face the malendragem more often. 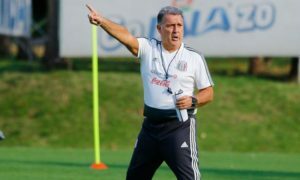 The match may also be Juan Carlos Osorio’s last match managing El Tri, as he had been linked to the national team job in Colombia should the Cafetaleros crash out of the World Cup. The national team reconvenes to begin the 2022 World Cup cycle ahead of the September 7-11 international window, when El Tri takes on Uruguay in a friendly.